It was nice seeing the losing jockey congratulate the winner. Orb ran an amazing race, coming from behind on a really wet track. I too have mixed feelings about the racing industry, but it does have its moments to both inspire and thrill. 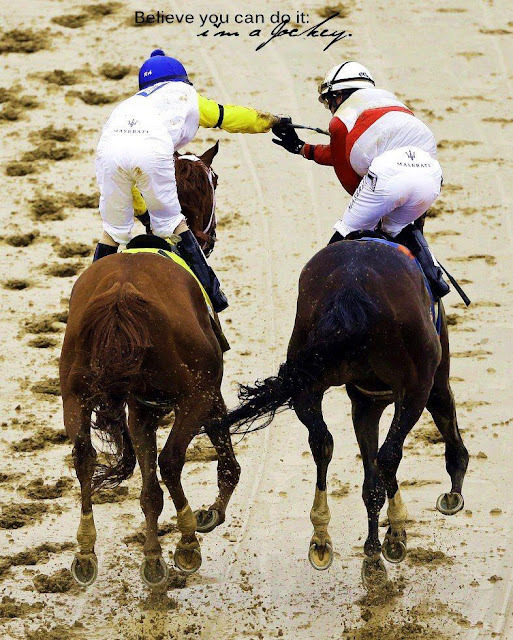 This happens a lot--last year Mike Smith aboard Bodemeister saluted Mario Gutierrez on I'll Have Another. The truly great jockeys demonstrate good sportsmanship.